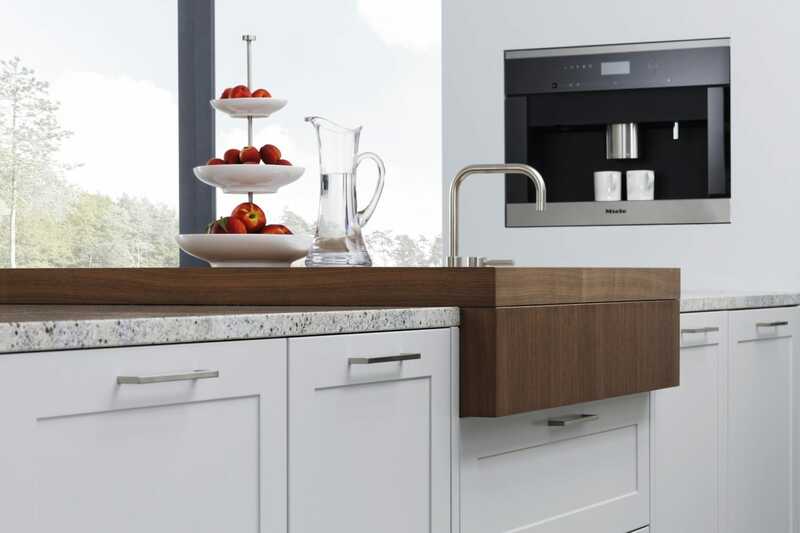 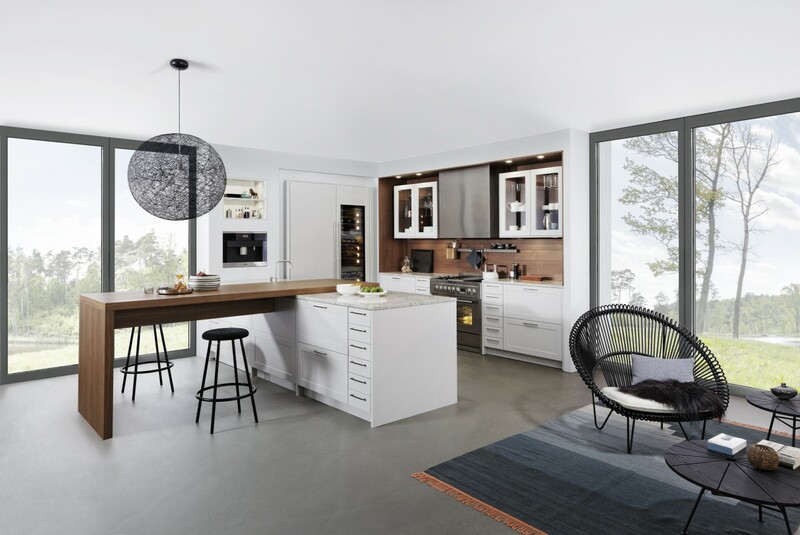 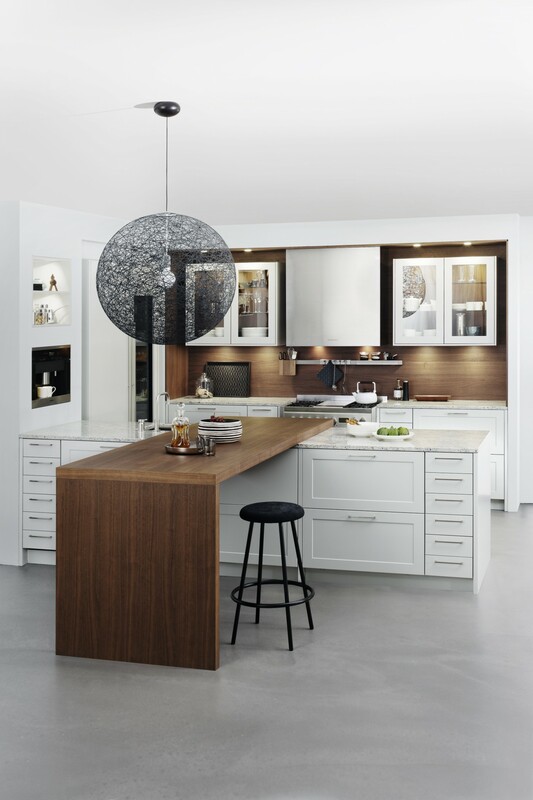 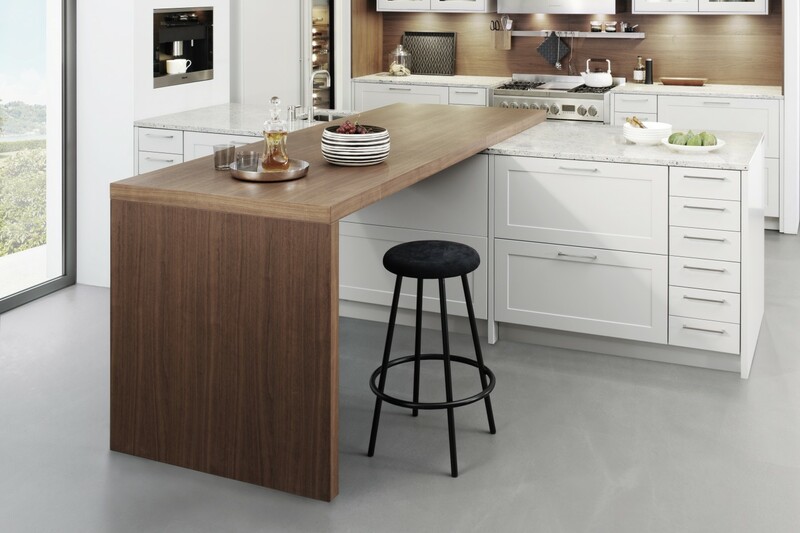 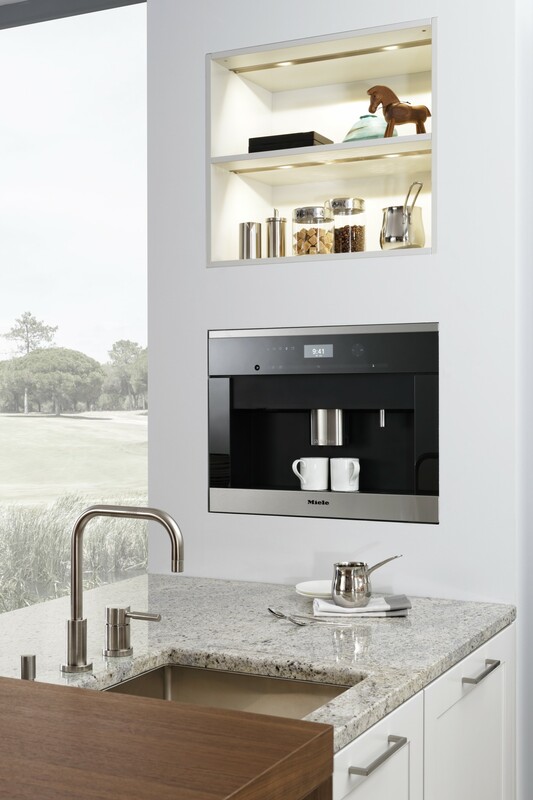 This truly stylish kitchen from Leicht appeals to lovers of top quality finishes and kitchens with lots of display options. 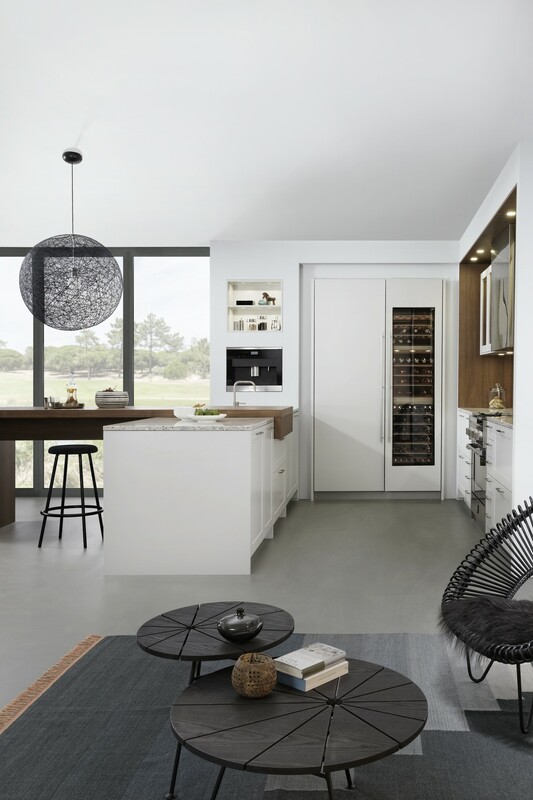 Cupboards have glass display options, shelving can be open with lots of neat storage solutions and the wine fridge is a full length display unit integrated into the fridge unit. 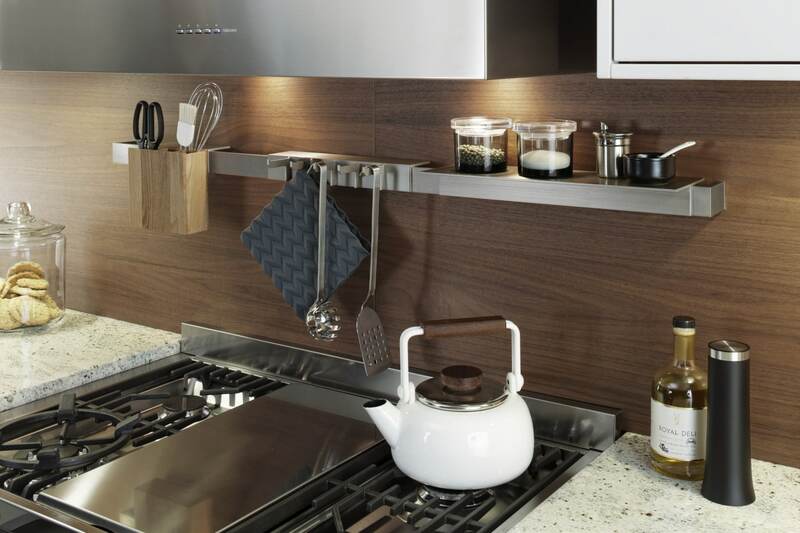 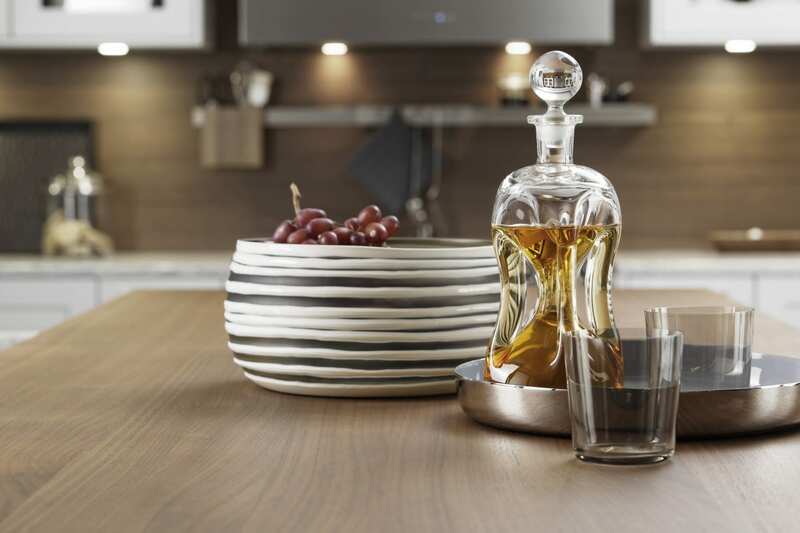 If you wish to have an elegant kitchen where you can display lots of your things then this could be for you. 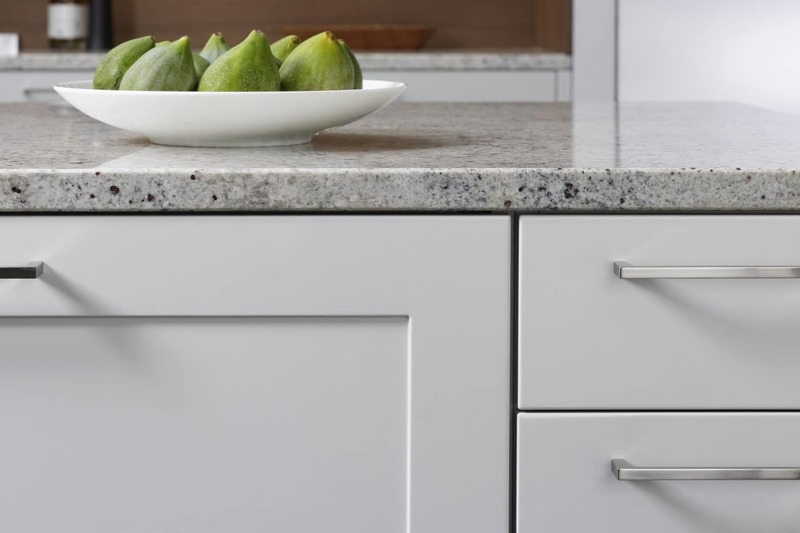 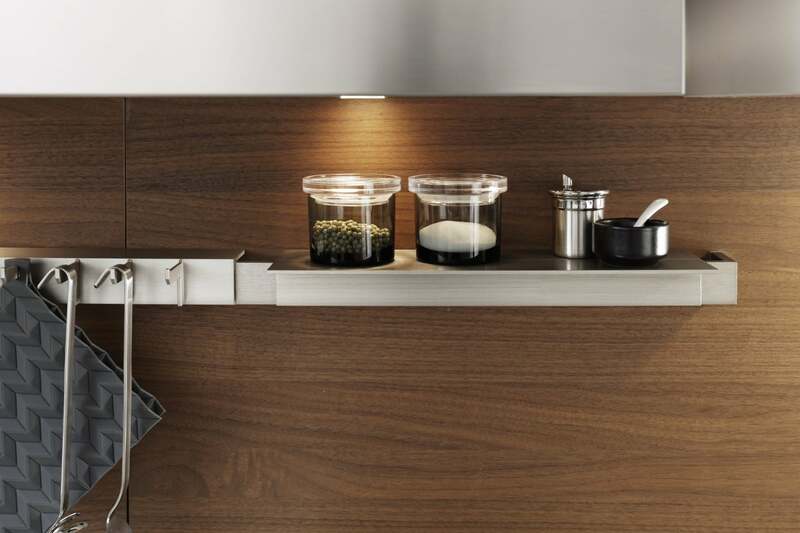 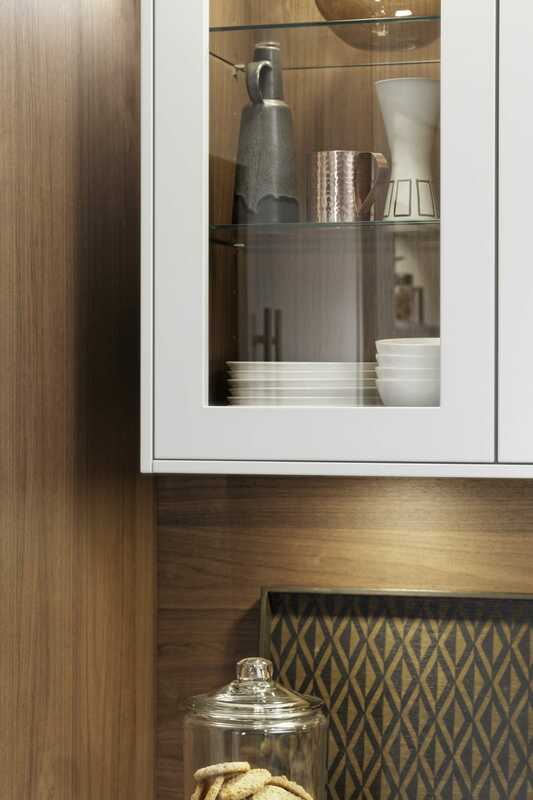 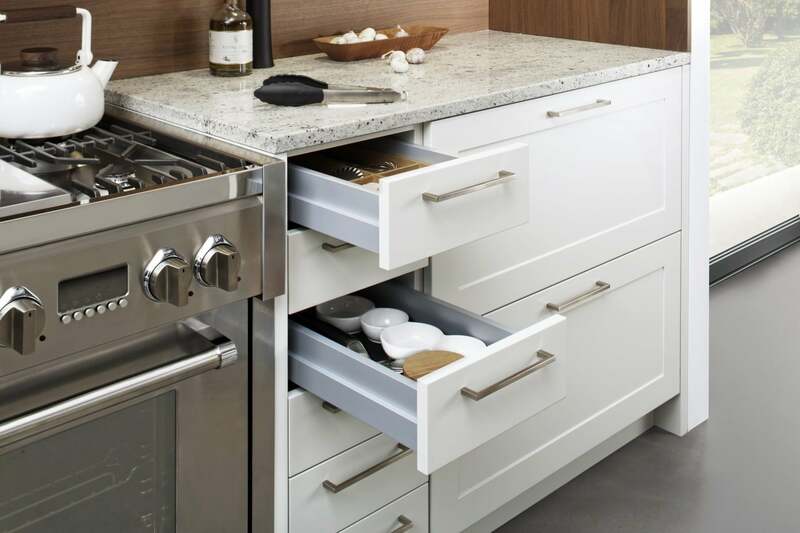 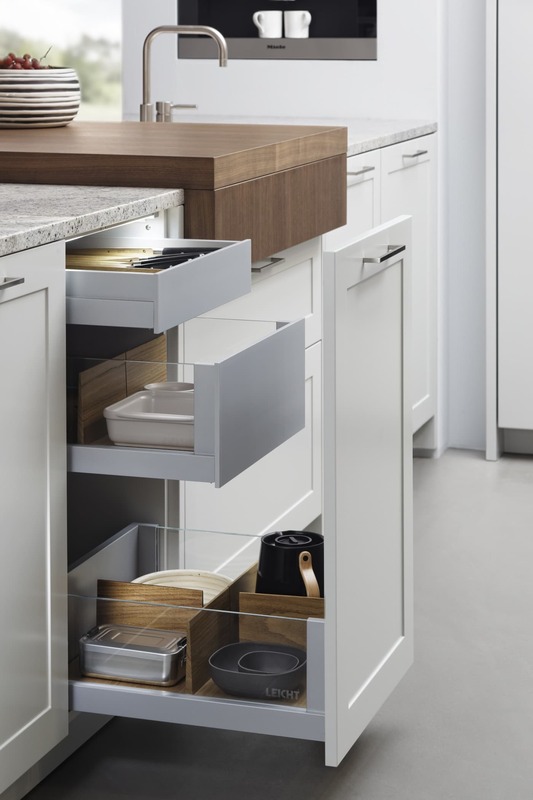 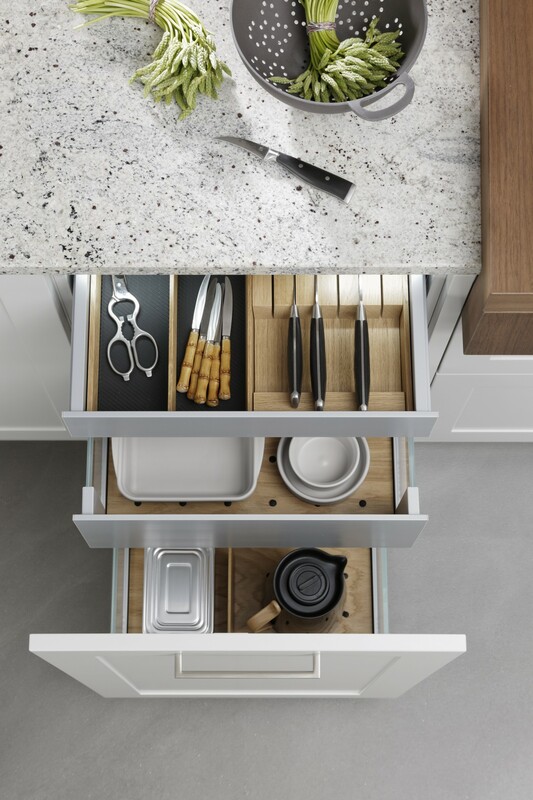 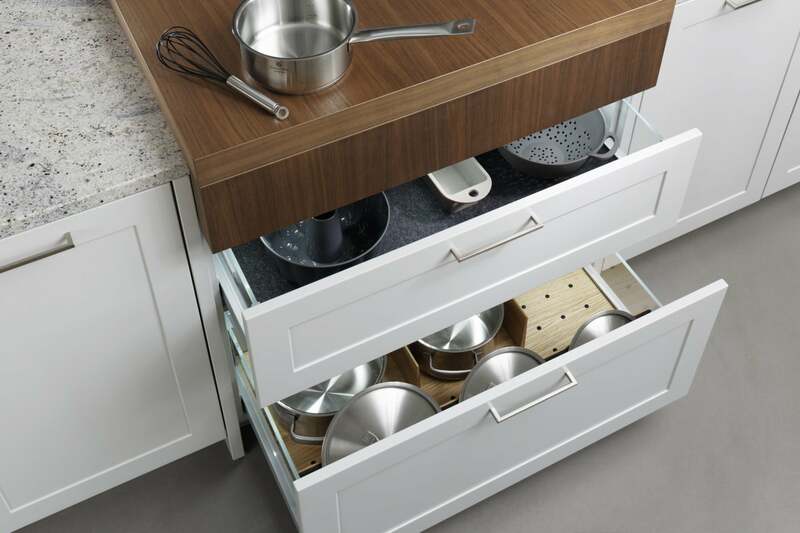 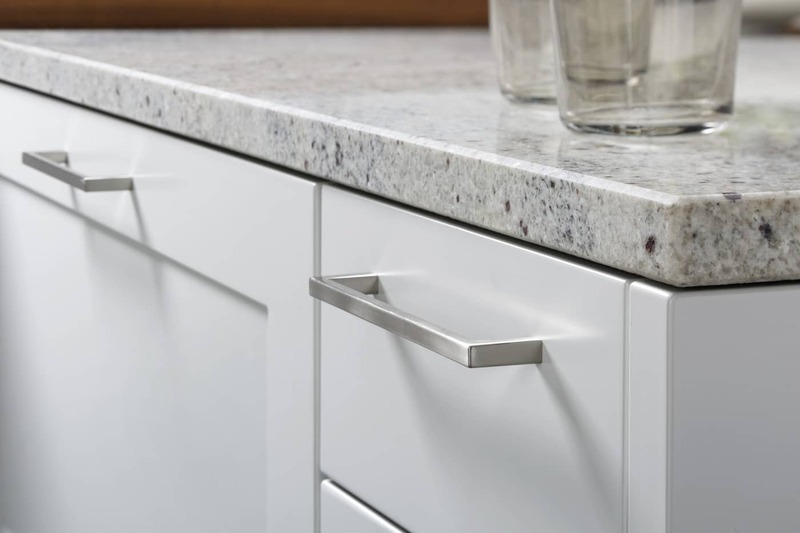 Drawer and cupboard storage options are almost limitless and everything can be custom fitted to your exact requirements so the kitchen fits exactly you lifestyle and design ideas.